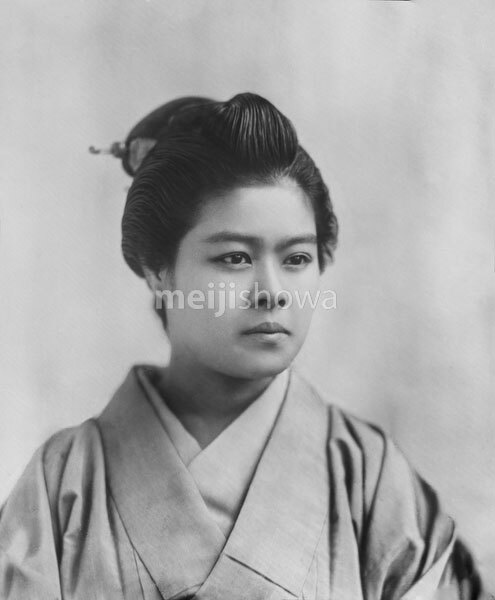 Woman in kimono and traditional hairstyle. From a series of glass slides published (but not photographed) by Scottish photographer George Washington Wilson (1823–1893). Wilson’s firm was one of the largest publishers of photographic prints in the world.